Every so often, an artist switches genres. A rock star becomes a country singer, a jazz singer becomes a hip-hop artist. Then there are times when they switch crafts altogether. A pop star becomes an actor. An actress becomes a painter. And, sometimes, a celebrity picks up the pen and becomes a writer. Though writing is a serious craft and not something to be taken lightly, and certainly not something honed overnight, there are some celebrities who manage to capture an idea and paint an image with words in the same way they light up the screen when on camera. When they get it wrong, they may get it horribly wrong, but, on occasion, celebrities have written some things that are actually worth reading. Sometimes it’s the passing of a celebrity that inspires another one to pick up the pen. 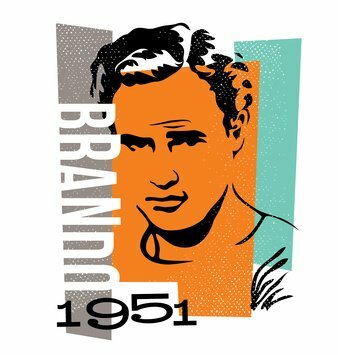 In Jack Nicholson’s tribute Remembering Marlon Brando to his friend and colleague Marlon Brando in “Rolling Stone Magazine” in 2004, he reminisces about the first time he saw Brando pulling up on the MGM lot, their years as neighbors in Los Angeles, the pranks that Brando used to pull on him and his deep appreciation for Brando’s genius. Nicholson’s tribute lets the light shine through the guarded image of two of Hollywood’s macho men. Did anyone know that Boston-born actor Matt Damon was a Boston Marathon fan? With his father, uncle, brother and nephews having taken on the challenge, Damon’s essay titled “Matt Damon’s Marathon” published in the Boston Globe recounts the actor’s nostalgia for the event’s earlier days. You can practically see the actor cheering on his father as he makes his way over the course when he describes his father’s running strategy, blow by blow. At the famous Heartbreak Hill, he explains that “At this junction, in particular, a palpable bond exists between audience and athlete, forming a distinctive stew of sympathy and suffering that has lasting effects for both parties.” He also eulogizes some of the changes that have occurred, namely the focus on charity and fund-raising that the event has come to represent. Damon’s essay came out just a week before the tragic bombing that killed several participants and fans. An excerpt from comedic actress Tina Fey’s book “Bossypants” went viral on the internet. The excerpt titled “A Mother’s Prayer for Her Daughter” is poignantly humorous as it lists the myriad of modern frustrations and humiliations she would like both her and her daughter to be spared: “First Lord: No tattoos. May neither Chinese symbol for truth nor Winnie-the Pooh holding the FSU logo stain her tender haunches” and “Lead her away from Acting but not all the way to Finance.” Fey combines her comedic flair with the poignancy of motherhood in this hilarious piece. Its popularity shows that her prayer echoes that of many a mother of young girls. Angelina Jolie’s high-profile essay, “My Medical Choice”, published in the New York Times about her preventative double mastectomy has been lauded by the medical community for its role in encouraging women to get breast cancer exams. Jolie’s choice to make public this intimate information carries extra weight because of her role as a celebrity and a symbol of feminine beauty which has made her famous. In her essay, she describes the rare gene BRCA1 that caused the death of her mother and which she inherited. Jolie’s doctors estimated that her chance of getting breast cancer was as high as 87 percent. Her reason for publishing the essay was so that other women could be aware of the gene and its risks and get tested before it was too late. Comedic actor Steve Martin who has published several essays in “The New Yorker” and a collection of essays in the book “Pure Drivel” wrote a very personal essay in 2002 titled “The Death of My Father”. In it, he digs through his childhood and his relationships with his mother and sister as well as the strained relationship with his father to find the threads that tie them together. He recounts his father’s sometimes stinging criticism of his career and his difficulty in accepting his son’s comedic antics. Finally, he narrates the last days of his father’s life and the final words and reconciliations they exchanged. It’s a beautiful piece that serves to remind its readers of the importance of forgiveness. Sometimes a celebrity feels called upon to offer guidance to an ingenue. Sinead O’Conner’s open letter to pop star Miley Cyrus printed in “The Guardian” in 2013 addresses the issue of sexism in the music industry. O’Conner was prompted to write the letter in response to Cyrus’ claim that her controversial and highly sexualized video for the song “Wrecking Ball” was inspired by O’Conner’s 1990 music video for the song “Nothing Compares 2 U”. O’Conner calls out the differences in the way she carefully crafted her image to avoid exploitation and warns the young star of the dangers of selling your body which often leads to selling out your talent. This entry was posted in General Writing and tagged celebrity-written essays, essay, reading on January 23, 2015 by Steve Aedy. Editing an academic paper is a bit different from that of work destined for a blog or publishing a novel. Because academic and scientific papers are written in a formal style, they need to be carefully edited to ensure the communication of ideas in an unambiguous way, with clarity and solid structure from start to finish. An academic work is meant to be taken literally, so let’s explore these 6 best practices for editing. 1. Ensure style is consistent throughout. There are many formats for writing an academic paper, so choose which style will best suit your work and ensure that it’s applied consistently throughout. The APA writing format (American Psychological Association) was designed for publication in psychological journals, but is widely used in many scientific fields. Whatever style you choose, follow the appropriate outlines and formatting structures for the greatest success. Maintain consistency with margin width: top, bottom and both sides. Font size should be used consistently. Double space text, including references and bibliographies. Text should be aligned to the left margin. If your work is to be published, use a Running Head (a short title no longer than 50 characters) at the top of each page, aligned flush left. Use the active voice. This is an area of change from the past where an impersonal form was the traditional rule, and personal pronouns weren’t used. When writing a paper it’s easy to simply jot ideas down as they pop into your head without concern for their relationship to your main topic. When editing, you need to ensure that all of these ideas marry up and parallel one another. For example, does your thesis parallel the concluding paragraph? The conclusion needs to support the exact position of the thesis without conditions or qualifying statements. Also, your topic sentences should reflect the points in your thesis. If your thesis states that A, B, and C are qualities found in D (D being your thesis), then you need to commit the appropriate space to analyzing A, B, and C in order to support your claims. And, any quotes used within your paper need to be scrutinized to ensure they’re supporting your topic sentences, which in turn support your thesis. The thread of your subject needs to run all the way through the fabric of your paper. An academic paper is meant to be read by peers and professionals within a given field, so the use of technical terms and industry verbiage is an encouraged and accepted practice. Avoid the common mistakes that detract from your authority or professionalism – spellcheckers will miss homonyms and the meaning behind your word selection, so take the time to edit carefully for Common Errors in English Usage (Paul Brians). Improper use of plurals and possessives. Making up words when there are plenty of good ones available. Not knowing the accurate meaning of the words you use. Not using appropriate technical words and terms. Abbreviations. Avoid them and spell out your words. However, acronyms are preferable after they’ve been spelled out the first time used. This article from the University of Pennsylvania is well worth reading, covering these points and more, in detail. An academic paper is formal in nature, but it doesn’t have to be stuffy or boring. Apply the following writing and editing principles for effective communication of your ideas. Write from an outline. This gives structure to your thoughts, so your writing is always on topic. And having structure means you don’t have to use filler words or try to “fluff” your paper. Stick to one idea per paragraph. And each idea should always be clearly related to the main idea of your thesis. Rework any lengthy sentences into clear and compact structures. Use expressive nouns and verbs to express your ideas and avoid trying to enliven your writing with empty adjectives and adverbs. Read your text out loud to determine where your prose can be made more direct and vivid. Bibliographies, references and citations. There’s no getting around it, they need to be included in your work. Many different formats can be used for referencing the resource material used in a paper, so it’s best to pre-determine what the preferences and guidelines are for each one. A bibliography requires the author’s name, title of the book and date of publication. A journal article must include volume and page numbers. Conference papers need the title of the conference, page numbers and details of publication. Your paper will need to have a reference for every source you mention so that peer reviewers and those who mark your work will be able to easily access your support documentation. Without them, your credibility and marks will suffer. It’s a valuable detail that needs to be respected. To be effective, your academic paper should be polished and professional in every aspect. And nothing says “amateur” quite like misspelled words, sloppy punctuation and grammatical mistakes. Don’t count on a spellchecker to do this for you as there are simply too many instances where words and errors are overlooked for any number of reasons. And there you have our 6 best tips for editing an academic paper. Use these ideas to give your work every opportunity to stand out and be noticed amid the competition. This entry was posted in Education and tagged editing an academic paper, editing tips on January 16, 2015 by Steve Aedy. 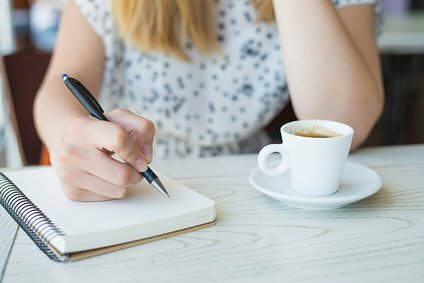 You’ve learned all the techniques for writing online. You know how to craft a killer headline, infuse your post with keywords and optimize content for SEO strategies. But… your writing’s a little, well, dull. A bit lifeless and dry, with none of your sparkling personality shining through. Which isn’t a really great incentive for new readers to stick around, is it? 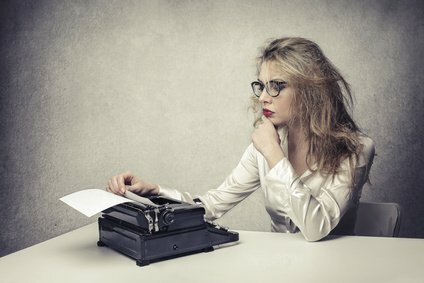 So, just how do you write with personality? How do you infuse your wonderful content with a bit of personal spice to catch someone’s eye with? It’s a common area of concern for the relatively new writer. Trying too hard to be an authority can squeeze the personality right out of your writing. We think that by taking on a formal tone, we’ll sound more business-like, but often end up sounding like a dullard or out of touch. However, you can still establish your position as an expert without coming across as being stifled. Letting your personality shine through will make your writing more interesting, which will attract and engage readers. And the following techniques will help you to do just that. One of the easiest ways to keep your personality in the written word is to write as you speak. And a very practical way to do this is to record a conversation with a friend or peer on a topic you’re interested in writing about. Set up a meeting and have them ask you pertinent questions on your topic. Most smartphones have a recording function, or you can download a free program such as Audacity to record and edit with. Trim out the pauses and irrelevant information as well as the many umm’s and uhh’s you’ll find, then transcribe your recording or have someone do it for you. What you’re left with is rich material for a blog post that not only shows your personality, but also your passion and enthusiasm for the subject. Look for the patterns in your speech that can be transferred to your writing – downhome sayings, clichés, accents and even swearing can all lend themselves to developing your online writing voice. It seems a bit counterintuitive, but learning how to tweet effectively is an excellent way to convey your ideas in a clear and concise manner. With its limited character usage, Twitter compels the brevity that reveals a kernel of truth at the heart of our message. This microblogging platform helps to strip away the unnecessary verbiage and wordiness new writers like to hide behind in order to appear expert. Whatever voice you develop for your blog posts, carry it through in all of your writing. Newsletters, ebooks, mini-courses etc. should all have the same tone, word selection and style. Otherwise, your readers will get confused if your posts are written in an informal manner but your newsletters are written in an overly formal, business-like language. Allow your readers some personal insights by sharing snippets of mistakes made, lessons learned, victories and triumphs. You’ll connect on a deeper emotional level with your audience if you share your own vulnerabilities – those characteristics we instinctively want to hide, but others immediately identify with. And paradoxically, with this sharing we develop greater confidence and courage as we start to “own” our emerging voice (іee Brene Brown’s Daring Greatly). It doesn’t have to be over-the-top drama, nor epic in nature. We all share the same basic fears, so a bit of honesty and integrity will go a long way in developing a trustworthy persona your readers can relate with. An analogy is a comparison tool, used to explain unknown elements by using ones that are known. They can be applied successfully to create Aha! moments of understanding as they create a link to the unfamiliar by comparing it to something familiar when describing a process, person, idea or event. An anecdote is a little story told to place emphasis on a certain point or to lead your readers to contemplate the specifics of an idea contained within your post or point. A metaphor is first cousin to the analogy. The main difference being that with a metaphor, the comparison being drawn is between two unrelated things, giving the reader a fresh perspective. A metaphor is an implied or figurative comparison, as opposed to a direct comparison. With metaphors, the first element isn’t like or as the second one, it is the second element. The well-placed metaphor corrals a reader’s attention by intentionally funneling their focus through down the path of a chosen topic. Invest some time in developing a profile of your ideal customer, and write to that person. The benefit of knowing who you’re writing for is that it generates a narrower focus, so you can get really specific and detailed in the message you’re conveying. This creates a more intimate style, as you feature the exact information you know your client is looking for and shows your commitment to your product or service. A little exaggeration, used with discretion and discernment, can add a splash of dramatic flair to your writing. Hyperbole is a tool used to convey emotional tone with theatrical impact, so less rather than more is better here. When you start out using some of these techniques to develop your online voice it may seem a bit awkward at first, but incorporating them into your posts will add depth, personality and liveliness to your writing. And as you reveal your personality with these practices, they’ll build a strong bridge of loyalty and reader engagement between you and your audience. It’s like building a new friendship – it might take a bit of work to develop, but in the long run, well worth the effort. This entry was posted in General Writing and tagged personality in writing, writing online on January 9, 2015 by Steve Aedy. Getting started with a writing project can be one of the most difficult of all the challenges a writer will face. We dither, putter, doddle, delay and flat out procrastinate. Excuses run the gamut from the logical and believable to the outrageous – but somehow still believable if they prevent us from following any desire to fulfill a creative yearning such as writing. And yet, when we challenge this resistance and make a start we find our fears dissolve in the face of the results we get. Doubt is replaced with confidence and imaginary obstacles recede in the wake of daily action. Once you begin, it’s a whole new ball game. And it’s one that’s a whole lot more fun than the scared little voice would have you believe. So, to start writing the following 8 ideas will help you get past some of the more common excuses for not beginning. Before you can begin to write, you need some form of direction to give your time and attention to. “I don’t know what to write about” is an often heard phrase among those yet to write. Nonsense. Of course you do. If you’re alive, then you have a myriad of passions, ideas, opinions, likes and dislikes, skills, talents, expertise, experiences and personal history to draw upon for inspiration. Block out some time and write a list about your personal interests, hobbies and passions and the reasons why they’re important to you. Expand your list to include your work and educational experience and any related skills or expertise. Then extrapolate your list into relevant niches or genres to find topics to write about. When first beginning, writing about what you know is an effective way to quickly develop confidence. It provides a natural source of creative ideas with no learning curve to go through. And after you’ve developed a level of proficiency you can branch out into unfamiliar territory. If you’re going to write, then you need a space dedicated to just that purpose. Why? Because your locale becomes part of your routine, and a huge part of success lies in the habits we develop. These patterns of success include setting up prompts and cues that lead to effective actions, in this case the action of writing. And having a specific location is a big cue. It doesn’t have to be a large space with all the latest gadgets, but you’ll want somewhere all your own. A place to leave your tools and material at hand the way you want them to be. Having to clear the kitchen table of your writing gear at dinnertime is not conducive to developing flow. And create your writing space with some physical comfort in mind – a good chair and desk with adequate lighting is a must if you’re in it for the long term. As with having a writing space, developing a routine falls into the category of cultivating success habits (Charles Duhigg’s The Power of Habit is a great read on this topic). Whatever your schedule may be, incorporate a warm up routine to trigger the writing response. Invoke a prayer to the muses, line up your lucky charms, visualize a successful outcome, chant, dance or whatever gets you focused on the task at hand – writing. The actions themselves aren’t important, it’s the intention behind them. You’re sending a preparatory signal to your brain, and subconscious, that it’s time to get down to work. Once your warm up is complete, start writing immediately to link the routine with the act of writing. Commit to finding time for writing that will be free of distractions. You don’t need hours on end to get into the zone, 10 or 15 minutes a day is sufficient to start with. You may need to get up a bit earlier or wait until the kids are in bed, but do find a time that works for you. Because a set practice time is needed to develop skill and rhythm. Whether you’re writing a blog post or a novel, sketching an outline of your main ideas will give a solid foundation to build upon. Jot down the points you want to cover, then flesh them out. Knowing what to write about beforehand prevents overwhelm and getting stuck – you’ll always know what your next writing step is. When you think you’ve finished writing for the day, do one more thing. Write one more sentence, find one more resource or simply review tomorrow’s schedule. By giving just a little bit more effort, you’ll summon the voice of your inner mentor offering congratulations for your dedication. Much better than the voice of the inner critic! Get out of your jammies, have a plan, schedule the time and show up for work. If you don’t take your own efforts seriously, don’t expect success to shine upon you. Develop the mindset of a professional doing his work for the rewards due a professional (The War of Art by Steven Pressfield is a must-read for a professional mindset). To get past the hang ups of perfectionism and self-doubt, just write. Don’t expect it to be perfect or even good – write for the garbage can. The point isn’t about finishing the project, but starting it. Fears of failure, not being able to complete your work, rejection etc. will all become a self-fulfilling prophecy if you don’t begin. So write. One sentence or even one word is enough to begin with. And finally, when first venturing into the writer’s life, keep it simple. As with any new project, it’s easy to get overwhelmed. So give yourself the best opportunities for success by following the above tips to get started writing. Even if you don’t achieve a high level of commercial achievement, you’ll avoid the disappointment of not trying and will instead have the great satisfaction of knowing you followed your heart despite some initial fears. This entry was posted in General Writing and tagged how to start writing, writing tips on January 2, 2015 by Steve Aedy.